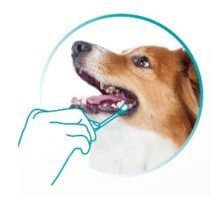 An oral care gel made from small-molecule Lactoferrin which forms a protective layer on the oral mucosa, and assist in relieving inflammation, inhibiting infection, and promoting wound recovery. An unique soundless design and the long nuzzle which makes it easier to apply the gel on the gum directly. Direction for use: apply directly on the gum or lesion twice daily, 0.2-0.3 ml each time. It tooked almost 3 years to collect the 25 cats with lymphocytic-plasmacytic gingivitis stomatitis (LPGS) and finished this study. 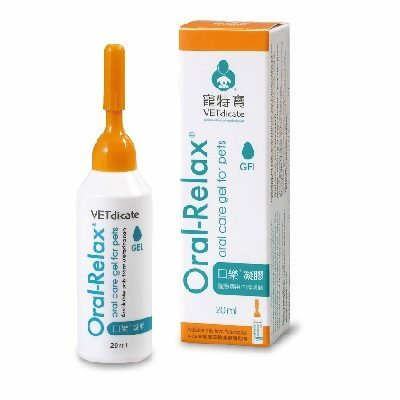 This is the first journal published study that set up an “oral lesion grades and corresponding gross appearances in cats with LPGS.” This research was concluded that combining Oral‐Relax and piroxicam was safe and might be used to decrease the clinical signs of caudal stomatitis in cats.